Being our own manufacturer means that we control all aspects of our finished products from formulation through final production and packaging. Our products are cold processed, meaning they are never heated during the production stage. We do not use heat in our production process because we have no chemicals, fillers, or synthetics in any of our products, and excessive heat destroys some of our potent natural compounds. We are proud of the fact that we have added quality control by making our own tinctures, extracts, infusions and compounds. From the beginning, when Kimberly began researching the powerful benefits and healing properties of nature’s botanicals it has always been about the results. The approach to our formulations is always, first, what we want the product to achieve, not meeting a certain cost constraint or formulating with the least expensive ingredients. We marry the healing traditions and herbal wisdom of the Native American, European, Asian and African traditions, along with modern scientific understanding of the skin and principles of anti-aging. Our process is results driven and we create formulations that will nourish, hydrate and repair the skin. We seek to promote and sustain skin health in a gentle, yet effective way. We are selective about our ingredients — we source from small USDA certified farms around the world to ensure the highest quality and most active and effective botanical ingredients. We supplement the plant based herbs, flowers, essential oils and nutrient rich plant oils with natural clays, salts and sugars to create luxurious skin and body treatments and products. Just as we know organic food is better for our bodies and the planet, creating a less toxic footprint, the same is true of what we apply to our bodies in the way of skin and body care. Our products are USDA certified organic and they are never tested on animals during any phase of development. Our products are proudly made in the USA at our USDA certified organic manufacturing facility in Saint George, UT. We use minimal packaging and use recyclable PET plastic and amber glass to preserve the active botanicals of our products. We reuse packaging materials whenever possible and we use biodegradable shred for packing. We use soy inks, recycled papers and tree free label materials. We limit our printed marketing materials and have a green marketing policy, making materials available via email or online as much as possible to limit the use of paper and other resources. We are proud to have achieved EWG Champion Status. Our products receive some of the highest ratings for safety on the EWG’s Skin Deep Database. We purposefully create each formulation to be as pure as possible, using a high amount of organic ingredients and harnessing the power of botanicals and herbs to deliver real results. USDA Certified Organic — When you see the certified organic seal on one of our products, you can be assured that the entire product and all that is in it is certified organic. The United States Department of Agriculture awards its seal to products whose total contents are 100% certified organic, or whose total contents are 95% certified organic where the remaining 5% of contents are drawn from a small, select number of ingredients that are not organically grown, and pose no known risk to health or environment. Strong and creative women have been the driving force and inspiration for Kimberly Parry. It started with her grandmothers – one an English rose named Emma who taught Kimberly the beauty and solitude of gardening. The other, a fiery Puerto Rican grandmother, Carmen, an exceptional and experimental cook, throwing spices and herbs together while playing her beloved Salsa music. Kimberly chose a career path in the business world and for 15 years she worked her way up the ladder of corporate America. During that time she married and had two little girls. Days were filled with juggling her job and family and there was little time left for the two passions she had left behind, gardening and cooking. However, her firstborn daughter’s seemingly unending skin problems led Kimberly back to nature in order to find an effective way to treat her baby daughter’s delicate skin. Her daughter’s skin rashes disappeared and “Bum Butter” quickly became the choice of mothers looking for natural treatments for their children. Kimberly’s extensive research into natural herbs and essential oils has led to the creation of a veritable “formulary” of organic compounds to treat a multitude of skin conditions. The astonishing results quickly spread amongst friends, family and community, and the “Fresh To Order” distribution was born. Weekends and late nights were spent growing herbs and investigating all things organic. Formulating new blends and scents became a passion and in 2004 Kimberly said goodbye to the corporate world to invest all of her time researching and developing new products. Due to overwhelming interest she knew she was on to a winning idea and founded Kimberly Parry Organics in 2007. Along the way, world-renowned spas and celebrity clients began contacting her, happy to find made-to-order truly organic products custom blended for their needs. Today, Kimberly Parry, as the leader of Kimberly Parry Organics Inc., has created a platform of pure organic ingredients and compounds. Kimberly Parry Organics sources every ingredient from small farms around the world and maintains traceability by knowing our farmers.In her own manufacturing facility, all products are hand blended in small batches and made in the USA. 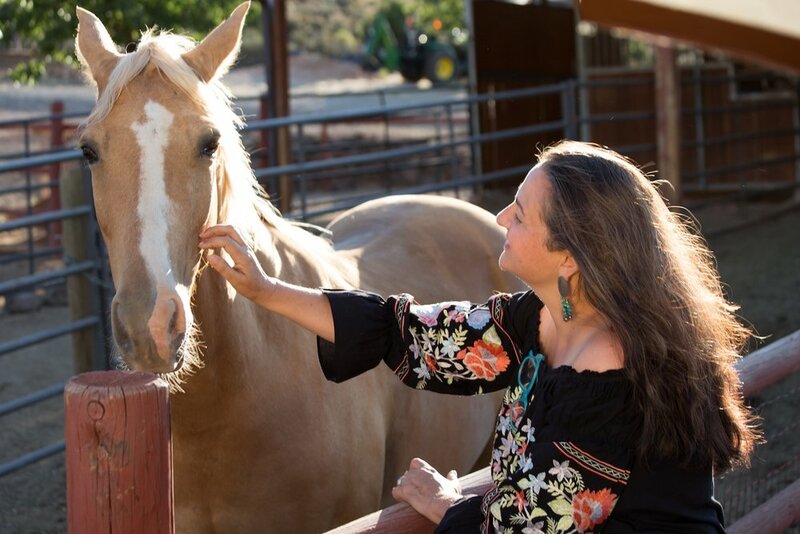 Her pioneering spirit, devotion and diligence has led to an organic manufacturing company earning the USDA Organic Certification, the gold standard for Pure Organics. Kimberly Parry Organics is positioned as a “pathfinder” for harnessing the pure powers of nature’s botanicals to promote and sustain skin health in a gentle, yet effective way.